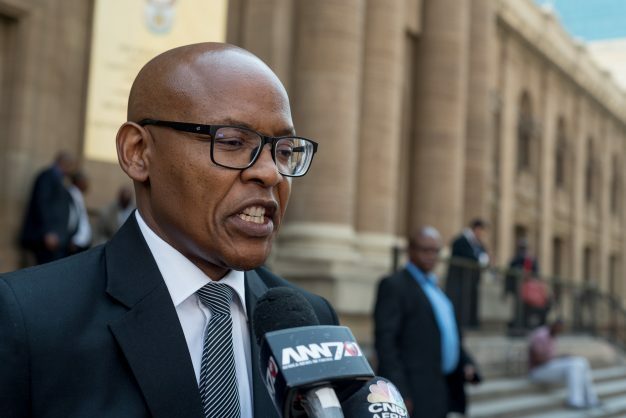 The witness says irregular changes made by Manyi include the tender process being completed by him when previously this had been the task of the bid adjudication committee. Acting director-general (DG) at Government Communication and Information Systems (GCIS) Phumla Williams testified at the commission of inquiry into state capture on Friday that former GCIS chief executive officer (CEO) Mzwanele Manyi introduced irregular changes to the department’s tendering process. Former GCIS CEO Themba Maseko testified at the commission on Thursday that he had resisted pressure from the Gupta brothers who had allegedly attempted to access the department’s R600 million media spend budget, resulting in him being sacked and replaced by Mzwanele Manyi. Maseko told the commission that former president Jacob Zuma had allegedly instructed him to “help” the Gupta brothers. Williams testified that Manyi introduced himself as the new director-general of the department on the same day that Maseko announced to staff that he had been transferred to the Department of Public Service and Administration. The acting DG said the rapid change at the department affected staff morale as they had found Maseko to be easily accessible. According to Williams Manyi disbanded the bid adjudication committee tasked, in part, with media buying. He then appointed a new bid adjudication committee which, Williams said, did not have a chief financial officer (CFO) as per Treasury requirements. The new committee members included individuals who had recently joined the department, with one transferred from the Department of Labour where Manyi had been a DG, Williams testified. She added that she was not aware if the new committee members had received the same five-day training course from Treasury, which the committee she chaired had undergone. Williams explained that Manyi introduced numerous irregular changes including that the completion of tender processes was done by Manyi personally, previously it had been the task of the bid committee, and that both the unit responsible for media buying within the department and internal auditing reported directly to him. The inquiry adjourned for tea as Williams was testifying about how the GCIS procurement department was allegedly “bullied” into hosting The New Age and SABC breakfasts even though these fell outside the department’s delegation, which is broadcast and print.